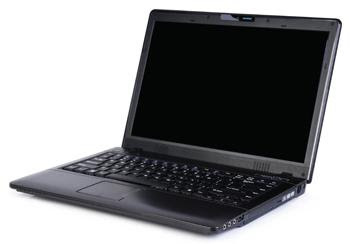 Articles about "AXIOO Neon MNN.2.012 Laptop Specs" in this website is free. Read our reviews for "AXIOO Neon MNN.2.012 Laptop Specs", gadget price, specs, features and find more latest Electronic Gadget Reviews and News. Digital wall to express your imagination. Axioo Neon MNN electricity by Intel Core 2 Duo Processor, high-performance multimedia technology, Published by the powerful NVIDIA 512MB GeForce G10M and generous 14 "HD ratio (16:9) LCD Let your imagination be the limit .. Following is a review of specifications, prices, Advantages and Disadvantages of NOTEBOOK / LAPTOP AXIOO Neon MNN.2.012. Until this article was made we have not found a weakness of NOTEBOOK / LAPTOP AXIOO output of this, if you find the weakness of NOTEBOOK / LAPTOP this, then you can mempostingkannya the comment form. Official price for new AXIOO Neon MNN.2.012 is Rp. 4.699 million in Indonesia.